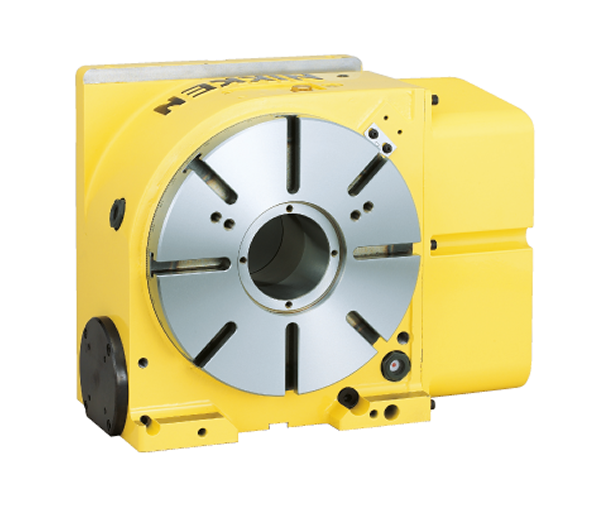 The CNC260 is the most versatile 4th Axis Rotary Table Nikken Kosakusho has ever produced. Manufactured to the very highest standards in our factory in Osaka, this table is commonly used on a wide range of vertical machining centres to provide 4th axis capabilities at a minimal cost. The table can be installed with a standard air brake or can be equipped with a hydraulic braking system which virtually triples the clamping torque to a massive 1568 Nm. Whatever your fourth axis requirement, this table’s versatility could be just the solution you need to make the most of your machining centre.